The ultimate way to experience the beauty and nature of Phillip Island is through the eyes of a Phillip Island Nature Parks Ranger. Spend the afternoon with exclusive access to one of the islands expert Rangers. 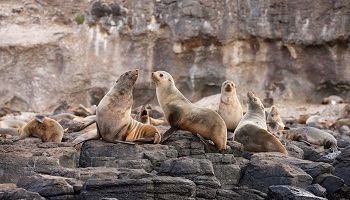 Phillip Island Rangers are passionate experts with knowledge in the islands flora and fauna, unique and varied birdlife plus the fascinating indigenous Aboriginal History of this small yet diverse island. 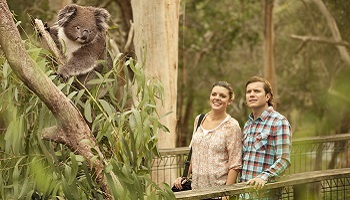 During your adventure, you will get up close to Australia’s most iconic of marsupials at the Koala Conservation Centre. Exploring the tree-top boardwalks at the centre you will see Koalas up close in the natural habitat. Wander the extensive trails through Australian bushland, home to many animals including wallabies, echidnas and bats. Acquaint yourself with the wonders of the southern waters while you meander along the coastal boardwalks. Catch a glimpse of the world’s second largest Australian Fur Seal Colony at Seal Rocks through the interactive cameras at the Nobbies Centre. Complete an unforgettable day with one of the world’s greatest wildlife wonders. 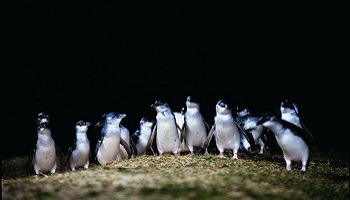 Enjoy the sunset return of the Little Penguins on ‘The Ultimate Penguin Tour’. This fully accredited eco-tour is restricted to no more than 10 visitors per night and is held on a stunning, secluded beach where guests will view the Little Penguins waddling ashore to their sand dune burrows. For dinner we invite you to dine on delicious local produce as you take in panoramic ocean views.